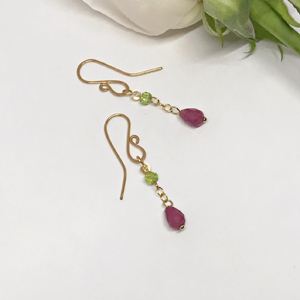 Exquisite gemstone earrings have been “gifted” to the stylist of a popular Netflix series in consideration for use on the show. 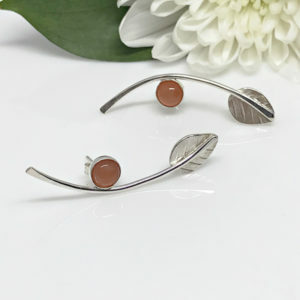 in association with the artisan group, these earrings were submitted to a popular Netflix series, to be considered. 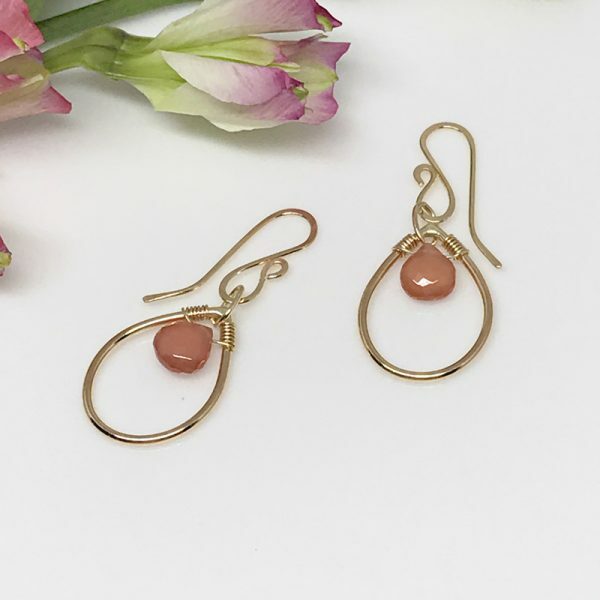 Gold rhodochrosite teardrop earrings. 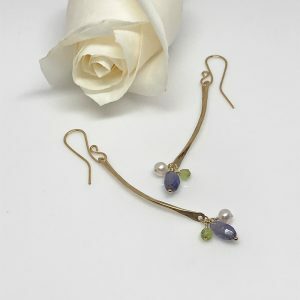 Hand cut gold-filled wire; hammered and soldered into teardrops. Exquisite rhodochrosite gemstones are wire wrapped and suspended from the gold teardrop shapes. Each faceted cut of these stones catch the light with every move. 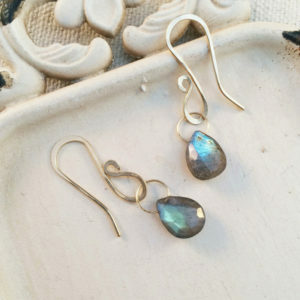 In addition, they resemble teardrops so they fit perfectly with the gold dewdrop shape. Their coloring is soft and hazy but also translucent, like pink champagne, only without the bubbles. 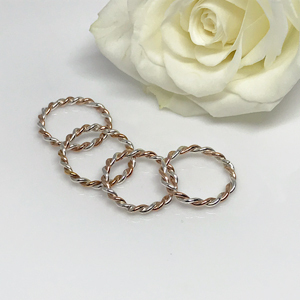 In addition to being gold filled, the ear wires are hand cut and formed too. 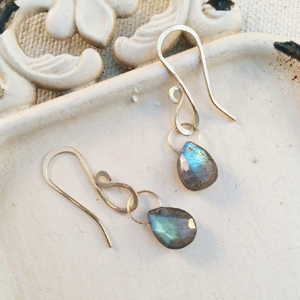 The teardrops hang 1″ from the ear wires. Worn on "Jane the Virgin"